Do you love Peanut Butter and Caramel? Well, Dairy Milk have now got a brand spanking new bar called ‘Peanut Caramel Crisp’ which sounds absolutely devine .. peanut butter.. caramel.. and crispy goodness all in one bar? That’s right! 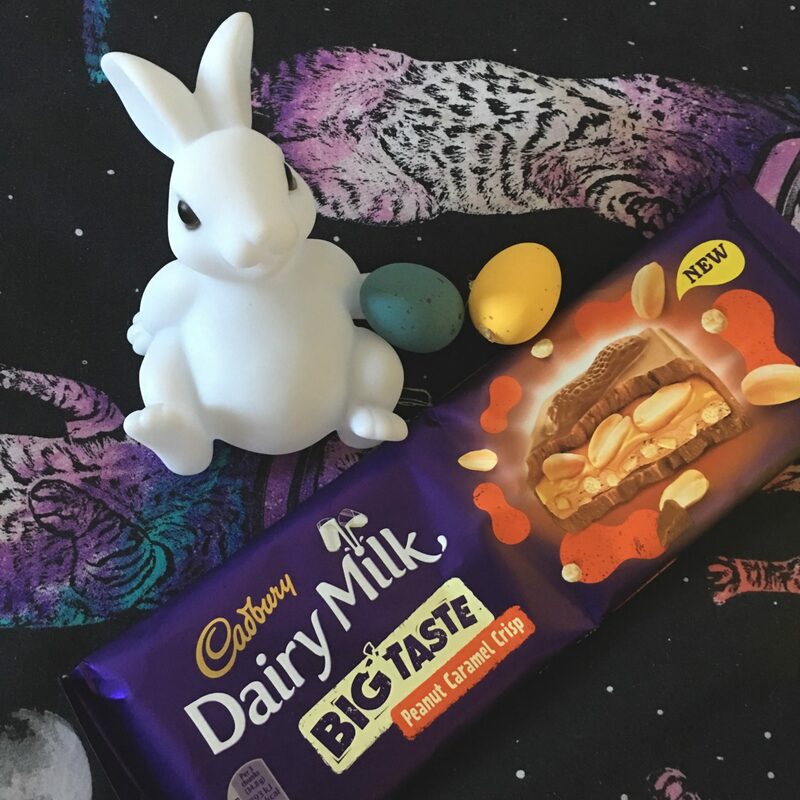 This is one of Cadbury’s latest Dairy Milk Big Taste bars and boy, was this good! Me personally, I love Peanut Butter but only when it’s combined with something else and I feel like this was a perfect match for me. The caramel in this bar really gave moisture to the peanut butter, so it isn’t so thick and paste-like whilst eating it. It made everything so smooth, with the added crunch from the actual peanuts and crispy bits. I really enjoyed this and it really surprised me for which I thought it was so much better than expected! Believe me, I couldn’t put this down but really had to try to stop myself. It’s a really filling bar too, so you can have a few pieces and feel satisfied (other bars, I munch through the whole thing and then feel guilty!). I cannot wait to see what Cadbury’s bring out in the Dairy Milk ‘Big Taste’ varieties next! I am hoping for some really exciting flavours. What is your favourite variety of Dairy Milk bar? Let me know! I do love a Dairy Milk Daim along with Caramel and a classic original. You can go check out Peanut Caramel Crisp and the other varieties in the range over at the Cadbury’s website. This product was also featured in my latest What I’m Munching This Easter blog post.